Fusco won the Hermitage Artist Retreat's Greenfield Prize in 2016. When 2016 Greenfield Prize winner Coco Fusco began work on the exhibition viewers will see starting this month at The Ringling (Coco Fusco: Twilight, opening Oct. 14), the Cuban-American interdisciplinary artist planned to collaborate with a theater and film director she knew in the island nation. But everything changed when the director staged a production of a play called The King Must Die in Cuba. “It caused an uproar,” says Fusco, “because Fidel Castro was still alive, and [the government] assumed the play was about him.” Ultimately, the director had to flee the country. The exhibit ties together political changes here at home and in Cuba, which Fusco, whose mother fled the country in 1960 after the revolution there, has visited many times. On her most recent visits, she has worked with three Cuban artists on the world premiere video, To Live in June with Your Tongue Hanging Out. It’s a piece centered on the late Cuban writer Reinaldo Arenas (portrayed by Javier Bardem in the 2000 autobiographical film Before Night Falls). “Arenas was persecuted for being openly gay, and as a political dissident,” says Fusco, even though the peasant-born Arenas had initially supported the Communist revolution. 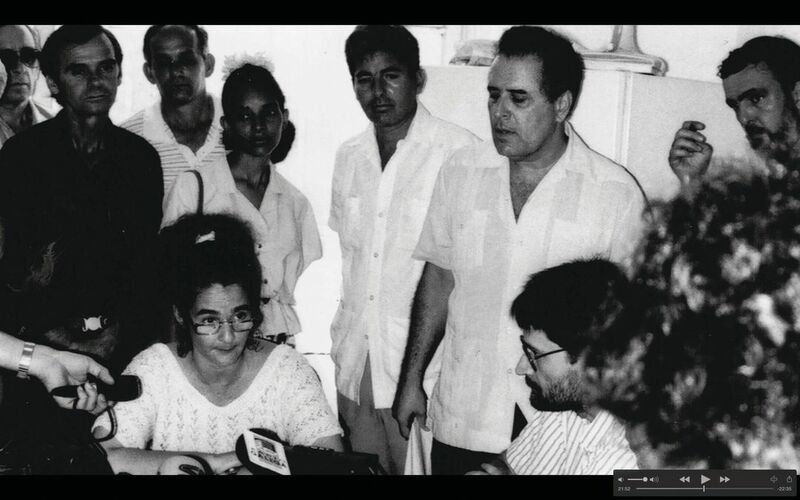 “He became persona non grata; for several years he couldn’t publish or give readings inside Cuba, and he also spent time in prison and a labor camp. 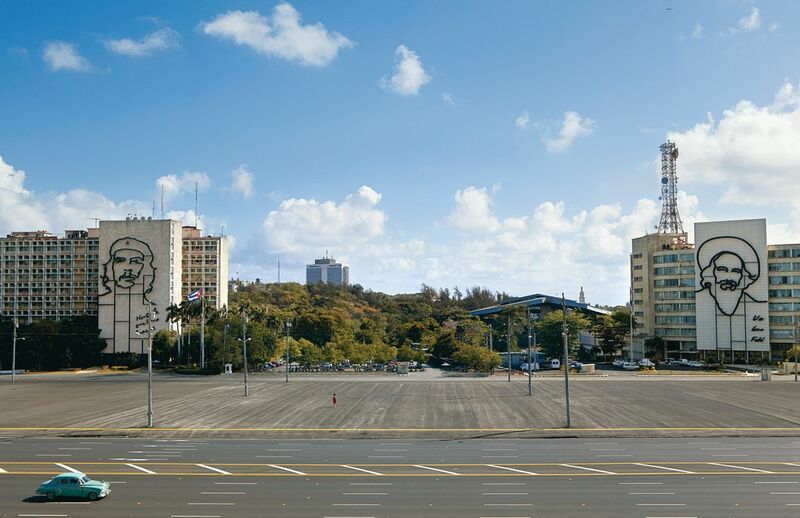 At one point he escaped and actually lived in Lenin Park in Havana for a while, where he had these secret salons” where fans could come hear him read. The park now, says Fusco, “looks like an ancient ruin. Like much of Havana, you see the physical deterioration. We found the place in the park where Arenas hid, and also found a surviving friend of his who had a collection of diary entries from that time.” The new video, which Fusco was still editing at press time, will present recitations of Arenas’ poems at that precise spot in the park. Fusco says today’s policies of Cuba’s Ministry of Culture again make it difficult for independent artists. “Any artistic representation that’s public, if it hasn’t been approved, it’s illegal,” she says. “They can be fined and arrested. It’s a threat to all independent artists.” In fact, she herself was denied re-entry to the country last spring—a setback that’s unlikely to deter her for long.